We prepare accounts and complete audits for a wide range of different businesses of varying sizes; this includes Sole Traders, Partnerships and Limited Companies. By having us complete your accounts you can be safe in the knowledge that the accounts will be prepared to current accounting standards and in a professional manner. For limited companies we can also provide you with a complete dividend package, which includes dividend counterfoils (for entry onto Personal Self Assessments). We can also prepare management accounts as required. We endeavour to assist our clients and advise them about any strengths and weaknesses that may have been highlighted during the accounts preparation. We are able to complete Self Assessment Tax Returns, and Corporation Tax Returns once we have prepared a client’s accounts. We also submit them to HM Revenue & Customs, usually online, and liase with HM Revenue & Customs if necessary. We offer tax advice to individuals and companies that require it and can advise of liabilities arising as soon as the Tax Returns have been completed. Should HM Revenue & Customs choose your business for an Investigation we have the knowledge and expertise to achieve a satisfactory result. We can also aid individuals who may have queries with Capital Gains and Inheritance Tax. We are able to either advise of the best way of keeping records for your individual trade, or prepare your records for you. We tend to complete the bookkeeping for clients who also wish us to calculate, complete and submit the VAT returns each quarter, or in some cases each month, and submit them to HM Revenue& Customs. If your think that your business should be registered for VAT, or you think that you need advice with regards to VAT we can assist you with this. UK employers are responsible to make the correct deductions for Tax and National Insurance from their employees and then forward these amounts on the HM Revenue & Customs. Employees must also be provided with a payslip to show any deductions that have been made from their pay. We are able to provide this service to our clients with professionalism and timeliness. We can provide payslips for your employees and advise you of any liability due to HM Revenue & Customs each month. If required we can also complete any Autopay reports enabling you to pay employees directly into their bank accounts. We can also provide our clients with any other necessary paperwork in this field, such as; P45’s P46’s, P60’s and P35’s. If you need any further information with regards to payroll and wages we can help you with this. If you should require a Limited Company we can assist you with this. We can check name availability, complete documentation and take the necessary action to easily incorporate your own company. We can also deal with any statutory documentation that needs to be completed for Companies House e.g.. Annual accounts submission, annual returns, share increases, and share allocation. If you are considering starting up your own business or expanding an existing business with your help we can prepare cashflow forecasts and projected profit and loss accounts that you may need. 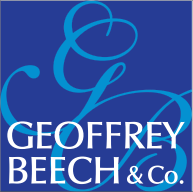 If you feel that you have any other needs that we may be able to help you with please telephone us on 0161 344 1150, or email us info@gbeech.co.uk.